This is a booklet written for teenage girls by a former model who gave up a lucrative career because it was irreconcilable with her growing faith. I appreciate her story, but have mixed feelings about this particular book. 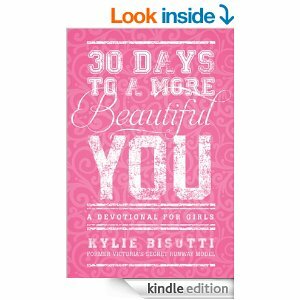 The premise is lovely: inner beauty counts more than what you see on the outside, God loves you and created you, trust what God says is true rather than what the world says, etc. But I wish there had been more depth. Her points are very simplistic, and it’s hard for me to imagine any teenager I know reading them without rolling her eyes. A few more pages would have allowed the author to acknowledge how difficult these choices are, and how costly it can feel to put off immediate gratification and opt for the big-picture promises of God. Still, though, a nice idea to include in a graduation gift. Disclosure: I was asked by the publisher to review this book and received a free copy. This entry was posted in Books on April 30, 2014 by Trish Ryan.